The Indianapolis Colts today signed guard Adam Redmond to the practice squad and released safety Lee Hightower. The team also placed outside linebacker Trent Cole on the Injured Reserve list. Redmond, 6-6, 290 pounds, spent time on the Colts practice squad earlier this season before being released on September 13. He participated in Indianapolis’ 2016 offseason program and training camp before being waived during final cuts on September 3. Redmond originally signed with the Colts as an undrafted free agent on May 2, 2016. Collegiately, he played in 31 games at Harvard and was the co-recipient of the school’s William Paine LaCroix Trophy in 2015. Redmond was also named to the CoSIDA Academic All-District first-team and was selected to the All-Ivy League first-team that season. He helped the Crimson achieve a 9-1 record in 2015, competing in all 10 games. Redmond blocked for an offense that averaged 474.2 yards per game and 36.4 points per contest as Harvard earned a co-Ivy League Championship. Hightower, 6-2, 200 pounds, has had two stints on the Colts practice squad this season and most recently signed with the team on September 14. He spent time with Indianapolis during the 2016 offseason program and training camp before being waived during final cuts on September 3. Collegiately, Hightower played in 20 games (seven starts) in two seasons (2014-15) at the University of Houston and finished with 65 tackles (40 solo), 0.5 tackles for loss, two interceptions, five passes defensed and one forced fumble. Prior to transferring to Houston, he started 11-of-15 games at Boise State from 2011-12 and registered 56 tackles, 4.0 tackles for loss, one interception and five passes defensed. Cole, 6-3, 270 pounds, signed with the Colts as a free agent on March 10, 2015. He has played in 171 career NFL games (150 starts) and totaled 844 tackles (522 solo), 88.5 sacks, 19 passes defensed, 21 forced fumbles, three fumble recoveries, one interception (returned for a touchdown) and seven special teams stops in his time with Indianapolis (2015-16) and the Philadelphia Eagles (2005-2014). Cole has also seen action in eight postseason contests (eight starts) and tallied 47 tackles (31 solo), 2.5 sacks and two passes defensed. The Indianapolis Colts today signed defensive end Kristjan Sokoli to the practice squad. Sokoli, 6-5, 295 pounds, was selected as an offensive lineman by the Seattle Seahawks in the sixth round (214th overall) of the 2015 NFL Draft. He played in two games on the offensive line as a rookie for the Seahawks last season. Sokoli participated in Seattle’s 2016 offseason program and training camp before being waived on August 30. Collegiately, Sokoli appeared in 46 games (25 starts) at Buffalo as a defensive lineman and registered 95 tackles and 2.5 sacks. In 2014, he started all 11 games and collected 32 tackles. Sokoli started all 13 games in 2013 and finished with 29 tackles and 2.5 sacks. In 2012, he played in 12 games (one start) and tallied 20 tackles. Sokoli saw action in 10 games in 2011 and recorded 14 tackles. He redshirted as a freshman for the Bulls in 2010. The Indianapolis Colts today released defensive end Sterling Bailey from the practice squad. Bailey, 6-3, 296 pounds, was signed to the Colts practice squad on September 4. He participated in the Colts 2016 offseason program and training camp before being waived during final cuts on September 3. Bailey originally signed with the Colts as an undrafted free agent on May 2, 2016. He played in 42 career games (19 starts) at the University of Georgia and totaled 108 tackles (35 solo), 2.5 sacks and seven passes defensed. This week’s “Back-Up of the Game” presented by Venyu is offensive lineman Joe Haeg. Before Sunday, the last time Joe Haeg played guard in a real football game? Not middle school, high school, college or the NFL. The rookie started at right guard on Sunday, filling in for Denzelle Good (back). It wasn’t all gravy for Haeg on Saturday. Just before halftime a back injury to Joe Reitz forced Haeg out to right tackle, his more natural position. Hang played the final 39 snaps of the game at right tackle, after 34 plays at right guard. “You definitely have to change up your mindset a little bit,” Haeg said of the making the in-game switch, “but it’s something that I’ve been preparing for a lot lately, especially being a young guy, playing a lot of different positions, trying to be as versatile as possible. Coming into 2016, Haeg was expected to be the team’s top reserve lineman at four different positions, thanks to a strong offseason. An ankle injury initially halted those plans, but Haeg is now back to health and provides a reliable option at multiple spots. Sunday was quite the afternoon to get your first NFL start. INDIANAPOLIS – In an action-packed afternoon at Lucas Oil Stadium, the Colts got their first win of 2016. This time the offense and defense both made the winning plays on Sunday to help the Colts to a 26-22 victory over the San Diego Chargers. The Colts (1-2) will now head five time zones east to take on the Jacksonville Jaguars (0-3) in London on Sunday morning. T.Y. HILTON WALKS THE WALK – The Ghost did his talking on Wednesday and his walking on Sunday. Hilton said he needed to make more plays leading up to Week Three and he did—to the tune of eight catches for 174 yards and a touchdown. Hilton torched San Diego’s Pro Bowl CB-Jason Verrett all afternoon. BOTH SIDES FINISH – Just like the first two weeks of 2016, the Colts had a chance late on Sunday to leave victorious. Both units were able to finish it off. The offense did it thanks to Hilton’s 62-yard catch and run. Then the defense clinched it with Clayton Geathers punching the ball loose from San Diego tight end Hunter Henry and Mike Adams jumping on the loose ball. HEALTHY DEFENSE SHOWS UP – On Sunday, the Colts had 10 of their 11 expected starters on the field. From Henry Anderson, to Vontae Davis to Clayton Geathers, this was virtually the exact unit the Colts expected to have in 2016. Erik Walden was the star on Sunday with two sacks and two forced fumbles. MUST WIN? – That phrase is rarely tossed around in Week Three of the NFL. But it was applicable to the Colts on Sunday. Even after starting 0-2, the Colts are now just one game back of the Houston Texans, who reside atop the AFC South at 2-1. LONDON BOUND – Next up for the Colts is an altered workweek with the team leaving on Thursday to play in London. The Jaguars (0-3) will begin a stretch of three divisional games, all away from home, in four weeks for the Colts. Remember, the Colts will not have their bye week after London. They will host the Bears instead in Week Five. The Indianapolis Colts today signed wide receiver Devin Street to the 53-man roster off of the New England Patriots practice squad. Street, 6-3, 200 pounds, was signed to the Patriots practice squad on September 5, 2016. He participated in the Dallas Cowboys’ 2016 offseason program and training camp before being waived during final cuts on September 3. Street has played in 31 career NFL games (two starts) and caught nine passes for 132 yards and one touchdown with the Cowboys (2014-15). He has also seen action in two postseason contests. Street was originally selected by Dallas in the fifth round (146th overall) of the 2014 NFL Draft. In 2015, Street appeared in 15 games (two starts) and tallied seven receptions for 114 yards and one touchdown. He also recorded one kickoff return for 22 yards. Street played in all 16 games in 2014 and collected two catches for 18 yards. He also participated in two postseason contests. Collegiately, Street started 40-of-49 games at Pittsburgh and totaled 202 receptions for 2,901 yards and 16 touchdowns. He finished as the school’s all-time leader in receptions and third in career receiving yards. Street’s 16 receiving touchdowns tied for the seventh-most in program history. He earned Third Team All-ACC honors (2013) and Second Team All-Big East accolades (2012) in his last two seasons with the Panthers. The Indianapolis Colts today released safety Winston Guy. 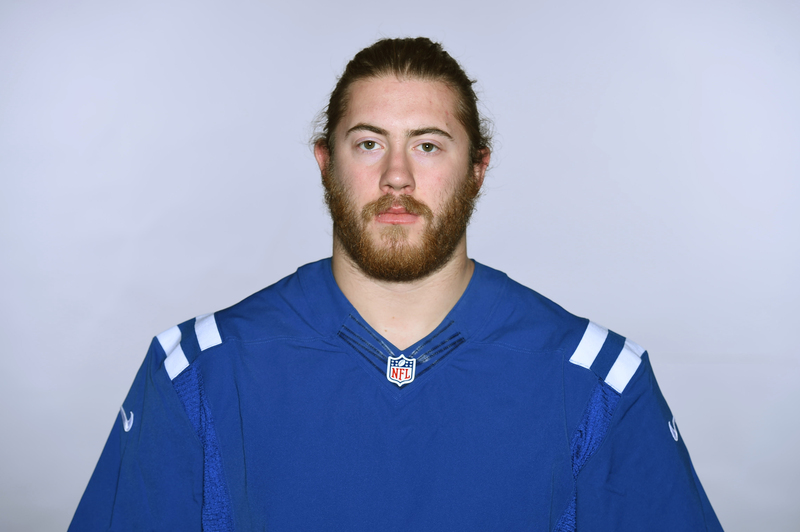 Guy, 6-1, 220 pounds, appeared in two games for the Colts this season. He has played in 34 career NFL games (five starts) and registered 43 tackles (32 solo), 2.0 sacks, one forced fumble and 15 special teams stops in his time with Indianapolis (2014-16), the Jacksonville Jaguars (2013-14) and the Seattle Seahawks (2012). Guy was originally selected by the Seahawks in the sixth round (181st overall) of the 2012 NFL Draft. The Indianapolis Colts today signed outside linebacker Deiontrez Mount to the practice squad and released cornerback Tay Glover-Wright. Mount, 6-5, 249 pounds, most recently participated in the 2016 offseason program with the Tennessee Titans before being waived during training camp on August 28. As a rookie for the Titans in 2015, he played in the first four games of the season and registered one tackle, one interception, one pass defensed and one special teams stop before being placed on the Injured Reserve list on October 17, 2015. Mount was originally selected by Tennessee in the sixth round (177th overall) of the 2015 NFL Draft. Collegiately, Mount played in 45 games (13 starts) at Louisville and totaled 82 tackles, 9.5 sacks and 18.5 tackles for loss. As a senior in 2014, he saw action in 13 games (five starts) and set career highs with 37 tackles, 5.0 sacks and 10.5 tackles for loss. In 2013, Mount participated in 10 games and made nine tackles, 0.5 sacks and 1.5 tackles for loss. As a sophomore in 2012, he appeared in all 13 games (three starts) and registered 26 tackles, 2.5 sacks and 4.0 tackles for loss. In 2011, Mount played in nine games (five starts) and tallied 10 tackles, 1.5 sacks and 2.5 tackles for loss. Glover-Wright, 6-0, 180 pounds, was signed to the Colts practice squad on September 14. He participated in the Colts 2016 offseason program before being waived during finals cuts on September 3. Glover-Wright was originally signed to the Colts active roster from the team’s practice squad on December 17, 2015. He played in two games for Indianapolis last season. In 2014, Glover-Wright spent time on the Green Bay Packers practice squad. INDIANAPOLIS – For a second straight week, the Colts could not make the plays in crunch time to earn a victory. Denver’s (2-0) attacking defense showed up quite large on Sunday, helping the Broncos to a 34-20 victory over the visiting Colts. The Colts (0-2) will now return home to Lucas Oil Stadium to take on the San Diego Chargers next Sunday at 4:25 p.m. VON MILLER IS A MENACE – Before Sunday, Von Miller had no sacks in three career games versus the Colts. That changed on Sunday. Miller had three sacks, three quarterback hits and a game-clinching strip sack with less than two minutes remaining. FRIENDLY FIRE BITES COLTS – Defensively, the Colts hung tough with more injuries piling up. It was the offense committing two very costly turnovers, both being returned for touchdowns, ultimately making the difference in the two-score margin. EARLY DOWN STRUGGLES CONTINUE– For the Colts to have success on Sunday, they knew winning early downs would be key. Against Denver, the Colts averaged less than a yard on first down, with penalties not helping them stay ahead of the chains. INJURIES STILL MOUNTING – It sounds like a recording for the Colts this season—secondary players leaving the game due to injuries. On Sunday it was being played again with Darius Butler (hamstring) and safety Clayton Geathers (undisclosed) exiting in the first half. Those two can be added to the likes of Vontae Davis, Patrick Robinson and T.J. Green already missing in Week Two. TIME TO START DIGGING – Two weeks into 2016 and the Colts are two games down in the AFC South. Houston leads the division at 2-0. The Colts will get their first look at the AFC South in Week Four, when they start a stretch of three divisional games in four weeks.